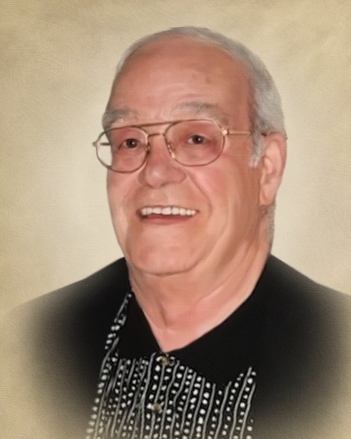 William A. Bayne, Sr., 86, of Bristol, beloved husband of Dolores (Mola) Bayne, died on Wednesday (March 20, 2019) at home, with his wife by his side. Bill was born in Bristol on May 15, 1932 and was a son of the late Walter and Mary (Curran) Bayne and step-son of the late Lillian Bayne. A lifelong Bristol resident, he attended St. Joseph Grammar School and Bristol High School. He served in the US Army for three years in the early 50’s, becoming a paratrooper after completing jump school training at Fort Bragg, NC with the 82nd Airborne Division. After serving in the United States Army, Bill, owned and operated various small businesses, as an entrepreneur. He then took up a printer’s apprenticeship at The Bristol Press newspaper, progressing his way up to Supervisor. Parallel to working at The Press, Bill was a part time real estate agent, leading him to co-found Bay-Mar Realty in 1968. In 1982, Bill was joined by his son Scott, converting their agency to Century-21 Bay-Mar Realty, then later establishing S & W Custom Home Builders. Bill was a relentlessly hard worker, driven by endless optimism, with success as the only option. Bill was a great story teller, the life of the party, a huge “bluffer”, a lover of life, who never complained and always felt “good.” He was a loving father who coached his sons, and numerous children in the community, in midget football and umpiring little league baseball. He also taught his sons to fish, steer a boat, the value of hard work and unconditional love. He later enjoyed being involved in his grandchildren’s activities and was a fixture in their lives. He created many unforgettable memories that his family will cherish forever. He was a religious man and parishioner of St. Anthony Church. Bill’s greatest joy in life was his family. He is survived by his wife of 62 years, Dolores, who was the love of his life. He will also be deeply missed by his three devoted sons and daughters-in-law: William A. Bayne, Jr. and Patricia of Burlington, Scott and Sofia Bayne of Bristol, and Todd and Lisa Bayne of Burlington; seven adoring grandchildren: Cristina, William, III, Katherine, Kilee, Casey, Todd, Jr. and Brittany Bayne. He also leaves behind a special brother-in-law, Edward Aylett and his family: Jeffrey and Kimberly, Douglas, Kenneth, Andrew and Michael. He is survived by siblings: Agnes Spigarolo, Beverly Kellum, Grace Kelly, Joseph Delfino, Oronzo Delfino, Leigh Bayne and Robert Bayne and many nieces and nephews. He was predeceased by siblings James (Gerry) Bayne, Nancy Meeker and Jean Curtie and a sister-in-law, Janet Aylett. A Mass of Christian Burial will be celebrated on Tuesday (March 26, 2019) at 11 AM at St. Anthony Church, 111 School Street, Bristol. Burial, with military honors, will follow in St. Joseph Cemetery, Bristol. There are no calling hours. In lieu of flowers, memorial donations may be made to DAV, 35 Cold Spring Rd., Ste 315, Rocky Hill, CT 06067 or Bristol Hospital Development Foundation, 41 Brewster Road, Bristol, CT 06010. Please visit Bill’s memorial web-site at www.FunkFuneralHome.com.